A few weeks ago, I reviewed Spike the Mixed-up Monster by Susan Hood. (You can find that review HERE.) One of the special things about Spike the Mixed-Up Monsters is that it has Spanish words sprinkled throughout the text. Today, I am excited to be reviewing another of Susan Hood’s books. This one has French words sprinkled throughout the text. Synopsis: (from Goodreads) This finely rendered fable introduces readers to the Tooth Mouse, France’s version of the tooth fairy, and to Sophie, a sweet young mouse who must prove she is brave, honest and wise enough to take over this important job. Opening: Once long ago, atop an ancient cathedral in France, there lived a small mouse who would NOT go to bed. “But I’m not sleepy,” said Sophie. “I want to play Tooth Mouse. Cranky old cats can’t catch me. Watch this!” And Sophie executed a perfect pas de chat. Then Sophie stopped. She heard a noise. It started with a scribble-scrabble. Then a scuffle… then a scramble. With a jump and a jeté, Sophie was away. …until she found herself in the great hall of the cathedral, where a crowd of mice had assembled. HERE is a link to review in the New York Times. Resources: In the back of the book, there is a list of tooth traditions around the world. HERE a downloadable Tooth Tracker sheet that comes with the Tooth Mouse’s Tips for Tip-Top Teeth! from Susan Hood’s website. HERE is an online tooth mouse coloring page. It can be printed and colored, too. HERE a unit named, Let’s Talk Teeth with several activities. HERE is a website for writing fables. Why I Like This Book: Learning about the French version of the tooth fairy is a wonderful way to talk with children about different cultures at a young age. 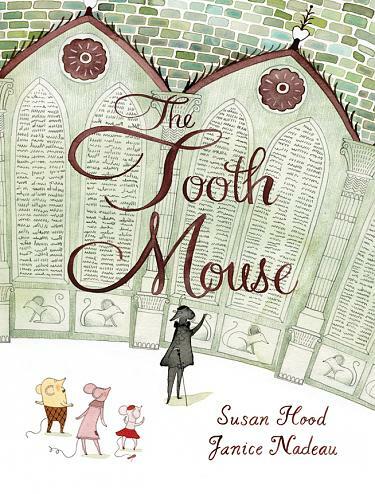 In this sweet story, little Sophie seems the most unlikely of all the candidates to be able to complete three difficult tasks to become the replacement for the old Tooth Mouse. Her bravery, honesty, and wisdom in completing the tasks make the reader root for Sophie to fulfill her desire and become the replacement for the old Tooth Mouse. The ending is especially endearing, but you will have to find that out for yourself. The French words sprinkled throughout give the book a special charm. The illustrations are beautiful and just perfect! The illustrator, Janice Nadeau, is a three-time recipient of the Governor General’s Award for Illustration, Canada’s most prestigious literary prize. ← Perfect Picture Book Friday-Mustache! Merci beaucoup to Penny for featuring THE TOOTH MOUSE and for all this great feedback. The book was a long time in the making so it’s wonderful that it’s being so well received. I was delighted to learn that it was reviewed in The New York Times yesterday! Oh! I am substituting long term in a Kindergarten classroom. A little girl lost her tooth Wednesday, so I read it to them on Thursday. They LOVED it!!! I then shared it with the other Kindergarten teacher. Funny thing…she had a little girl loose a tooth on Thursday…she was going to read it to her class, too. How cute…. this is right up my alley! The learning of different cultural celebrations. Love your choice Penny! 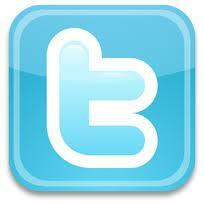 Thanks, Diane.By the way, I loved reading your post on Julie Hedlund’s blog! It was excellent! This sounds enchanting. I have a few tooth fairy books but none that I really love. I’m going to check this one out. Thank you! I am learning French, and I think this book would be a great way to learn about a French tradition! Oh! I’m jealous, Erik! That is great that you are learning French! Yes! Lots of pluses with this book. Love your idea for making a tiny cloth mouse with a little pocket for a tooth. Children would adore that! I’ve been looking for tooth fairy books, since my six-year-old had now lost two. This looks like a fun twist. It will be great for all tooth fairy collections! It would be nice for teachers to have in their classrooms. I bought this book on a whim to add to my tooth fairy collection. Glad I picked a good one! I think it’s great! I think there will be a lot of folks adding it to their picture book collections. This sounds great, Penny. It’s so interesting hearing how other cultures mark these things. Have you ever heard the David Sedaris piece about discovering that the French have, instead of an Easter bunny, an Easter bell? It is truly hilarious. I haven’t ever heard of that. I love hearing about the traditions of different countries. One of my favorite things we did at the elementary where I taught was a Christmas Around the World. The students rotated from classroom to classroom and we each did a different country and a craft/ project to go with the country’s tradition….so fun! I just love this choice, Penny. And kids love to hear of different versions of the ‘tooth fairy’ from around the world! The opening is delightful! Isn’t the opening great. It really draws you in. The rest of the story is just as delightful! Zee pique-churrs ahr tray jolie – we oui! Grande pique Madame! This sounds delightful, Penny! I didn’t even know there was another version of the tooth fairy, so I guess I need to read this book! 🙂 Thanks for adding it to our list! I didn’t know it either until Susan Hood told me about her book and offered to have a copy sent to me. I was thrilled when it arrived. And it is a 2012 copyright, so hopefully you’ll run across it soon. Wow – I really like your choice. Great for kids to learn about traditions in other cultures and learn some French words at the same time. Such a cute book! I just read this book! I hadn’t known that MANY other cultures have a tooth mouse. One even has a tooth RAT. Yikes! It is a cute story. Would be great to use in the classroom to talk about fables and other cultures. I agree Christie…great for the classroom. Students would love little Sophie! Ahhh, this story sounds delightful, Penny! Now that you’ve teased us, I’ll have to get this book to find out the ending and I love books with beautiful illustrations. That is one of my must haves. Thanks for the recommendation. You are so welcome Pam! I am sure you will really enjoy the story and the illustrations. This sounds very cute! In some cultures I believe the tradition is to toss a lost baby tooth over the roof? No mouse or fairy required! It is delightful! Hope you have a chance to read it. Ooh I love how the English rhymes with the French. I’d love to sprinkle language in pbs. I’ve tried it. This sounds so cute too with that mouse. I haven’t tried a different language because I only speak one. I do love the way Susan Hood sprinkles in the words. The context helps a lot and kids won’t be overwhelmed by too many unfamiliar words.